Samantha Taylor has lost all those dearest to her…her parents, her brother, and now the grandfather who raised her. When his will is read and some of his secrets come to light, Sam finds herself back in Misty Lake, Minnesota, a place that holds countless happy memories but, as she quickly discovers, just as many questions. Jake McCabe, Misty Lake’s sheriff, is as curious as anyone about the town’s newest resident but it isn’t until Sam becomes the victim of a particularly cruel vandal that he meets her and gets a look at the house that has everyone in town talking. 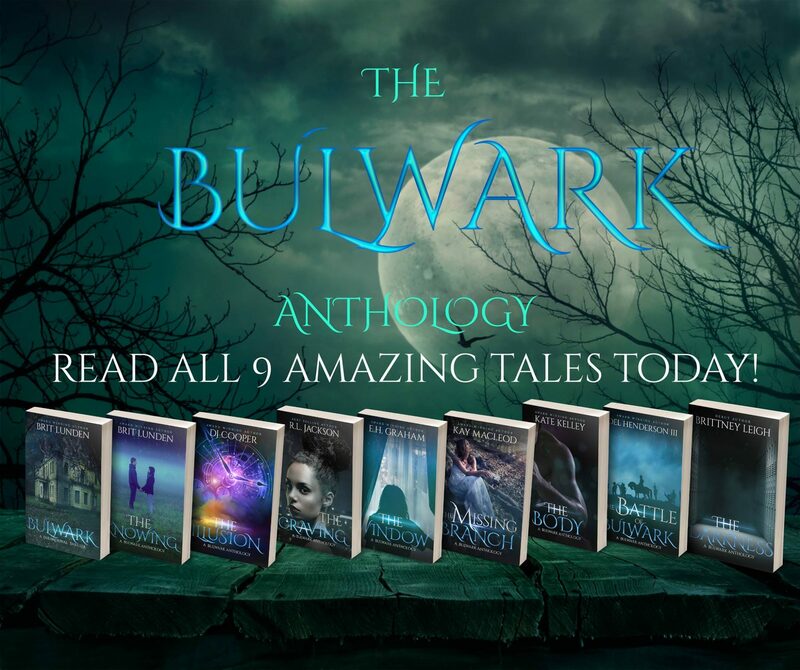 As Jake races to keep Sam safe from the escalating attacks, he also works to break down the wall she has built around herself and to convince her that a life without love isn’t a life at all. Misty Lake is the first stand-alone book in the clean, romantic suspense series called “entertaining and engaging.” If you like small towns, big families, and happy endings, you’ll love getting to know the McCabes of Misty Lake, Minnesota. 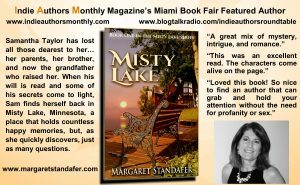 Hi, I’m Margaret Standafer, author of the Misty Lake series. I live and write in the suburbs of Minneapolis, MN with the support of my husband and children, and in spite of the lack of support from my ever-demanding Golden Retriever. When I’m not writing, I’m working as a substitute teacher in middle school and high school, gardening, hiking, walking my dog, traveling, or reading. Actually, I’m always reading and have found ways to incorporate it into most of the aforementioned activities! It is my sincere hope that you enjoy my writing.